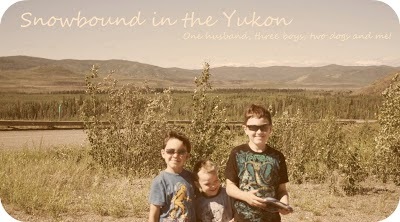 Snowbound in the Yukon: Laying it down. It's been a bad morning, okay I had a bad lunch hour, I didn't get the exercise I planned on and then I snacked. I had 3 cookies, a danish and a chocolate bar. I'm a little binger! I've never named myself that before. But I won't let that derail me, i will have a better rest of the day and maybe get on my elliptical tonight when watching Grey's. I finally watch this week's The Biggest Loser and something one of the contestants said really hit home for me. He said he took his problems and kept them on the inside and he felt very alone and agreed that food gave him company/comfort. That is me exactly. I don't know how to communicate, I used to think I was great at communicating and I was at one point but at some time I quit. I talked to my Husband about it last night and of course, he focused on "you feel alone?". Yes, I do sometimes. No matter that I have great friends and a Hubby that I've always been able to talk to. There are just some things I keep to myself, some feelings, some thoughts, some very personal things and I'm afraid of sharing how I really feel about things because what if I upset someone or make them mad at me. I don't want to be anymore alone than I am. It's also that overwhelming feeling, when your chips are down and you don't know what to do and someone says 'wow, I don't know how you do it with 3 boys', and I think shucks I was just going to say that I wasn't doing so well, but I guess I'll take the compliment and look stronger than I am and I'll be the hero! Why not? Everyone wants to be the hero, right? It's like when your sick and you have to take the Buckleys' and you don't want to! So you scrunch your eyes and plug your nose and take it like a man! That's what my feelings feel like sometimes. Like I have to do everything! You know where that has got me? To not caring! To only doing the bare minimum because I'm afraid to ask for help and show my weakness. So I've faced some things and I'll keep having to face them until I've dealt with them. Because they are there and they are not going away anytime soon.